The New York Giants invested a a first-round tender several weeks ago in former first-round pick, Corey Coleman. By no means is he expected to replicate or even resemble the departed Odell Beckham Jr., but his abilities shouldn’t go unnoticed. Coleman is a solid wideout that has struggled with injuries in the past, but it seems as if he’s passed those ailments and prepared to take on a bigger role. The former Brown bounced around between several teams before landing on the Giants in 2018, acting as a reserve receiver and special teams player, specifically as a return man. The Giants receiver will have a cap hit of $2.025 in 2019 but will be featured in a more prominent role moving forward. He racked up just 71 yards on five catches last season but made an impact returning kicks, averaging 26 yards on 23 returns. 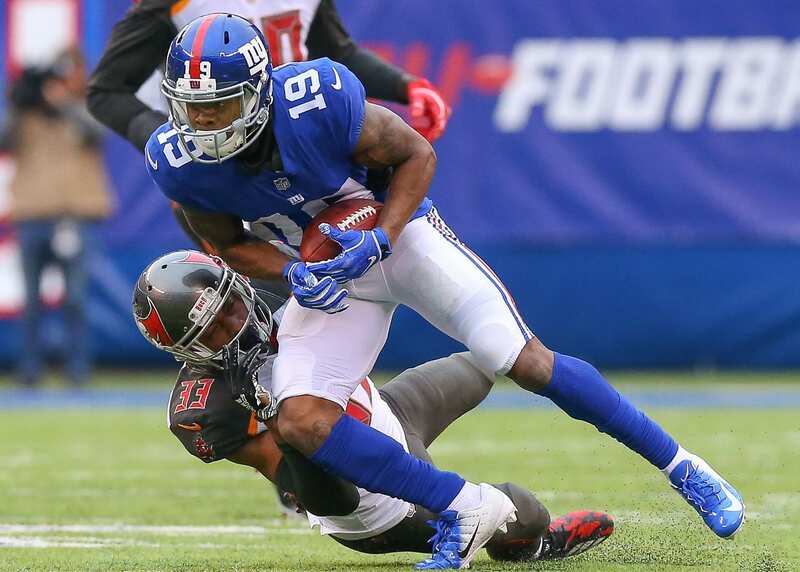 In addition to the signing of Coleman, the Giants also retained big-bodied wideout Russell Shepard and extended slot receiver, Sterling Shepard. Without the name “Odell Beckham Jr.” stamped across the unit, the group doesn’t have that flash it once did when the acrobatic receiver was hauling in one-handed catches on a daily basis. However, Tate and Shepard offer great value as slot options that can move to the outside. That’s one of the primary reasons they attracted such generous contracts from the Giants brass. Compared to specific slot receivers like Jamison Crowder and Adam Humphries, Shepard’s four-year, $41 million deal matches up well and he brings more to the table with his diversity. Sterling acts as a blocker, leader, and a talented pass catcher, increasing his value exponentially. He will now be the voice of experience in the locker room as he’s the most tenured Giant in the unit. His role will be influential in bringing out the best in players like Corey Coleman.